I'm posting it here, as someone was looking for the English recipe and I realised I hadn't shared it yet. It's lovely when enjoyed lukewarm, with a glass of cold milk, but it's also really nice when completely cooled and accompanied with a cup of coffee or tea or cacao. Break the eggs into the mixing bowl, add sugar and whisk until thick, pale and frothy. Gently fold in the curd cheese and sour cream (and raisins, if using). Butter a Ø 26 cm (10 inch) cake tin or springform tin. Sprinkle 1/3 of the cake mix (still dry, in its powder form!) onto the base, then scatter small dots of butter on top. Gently pour or spoon half of the wet mixture into the tin. Now scatter half of the remaining dry cake mix into the tin, cover with the rest of the wet mixture and then the rest of the dry cake mixture. Scatter the remaining butter on top. Bake in the middle of a pre-heated 200 C oven for 35-40 minutes, until the cake is golden brown and cooked through. I assume curd cheese is the same as "cottage" cheese, found in the USA? Also, can regular granulated sugar be a substitute for caster sugar? great post. i love cheese. 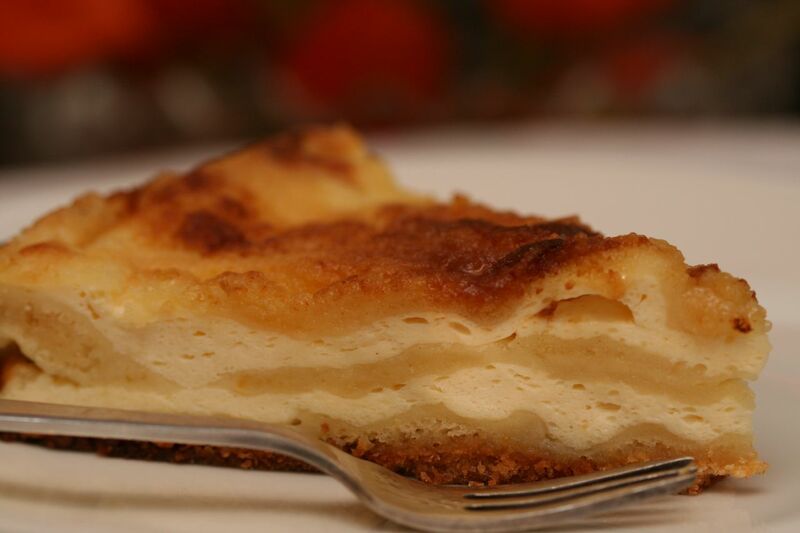 I made this curd cake with cottage cheese and substituted granulated sugar for caster sugar. It turned out good. I'm thinking of adding rum, using shredded coconut instead of raisins, and maybe substituting chocolate cake mix for the yellow cake mix the next time I make this.